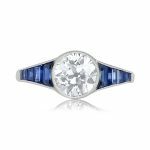 Tide Ring - Platinum and Aquamarine ring with a Diamond Halo. 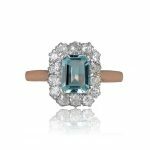 A geometrically designed engagement ring that features a beautiful 0.80-carat square-cut aquamarine with an excellent saturation. Surrounding the center gemstone, and along the shoulders, are diamonds with a total approximate weight of 0.45 carats. The under-gallery is finished with open-work and filigree. This ring is hand-crafted in platinum. 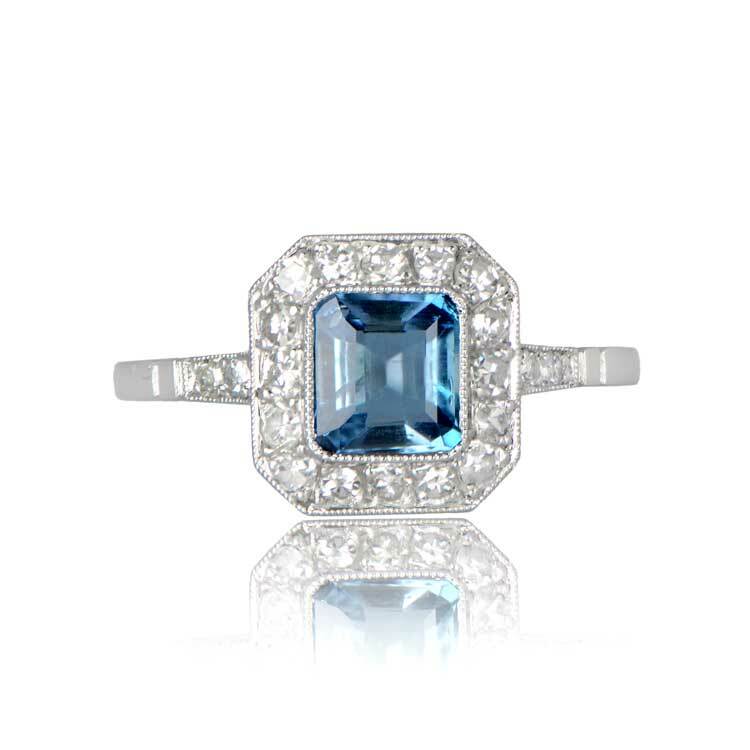 The approximate measurements of the aquamarine are 6.80mm x 7.60mm. 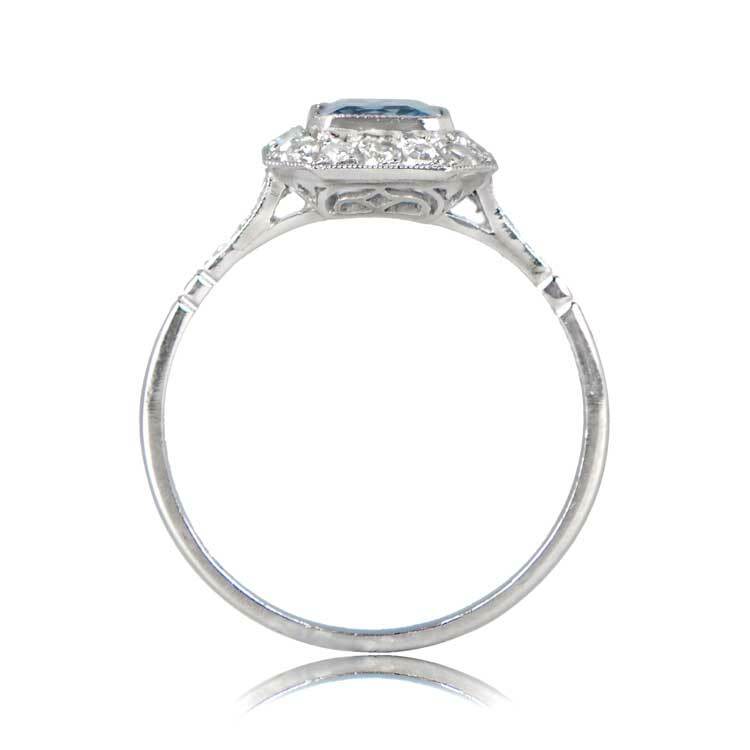 The measurements of the aquamarine and diamond halo are 9.60mm x 10.30mm. 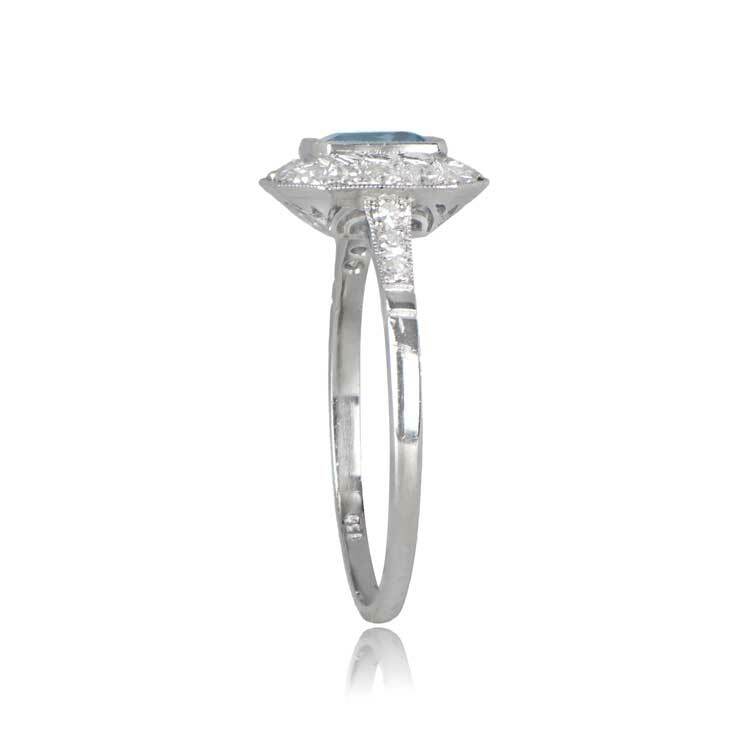 SKU: 12065 Categories: Aquamarine Engagement Rings, Vintage Engagement Rings - Contact us and request additional pictures.